Here are how my nails look this week. 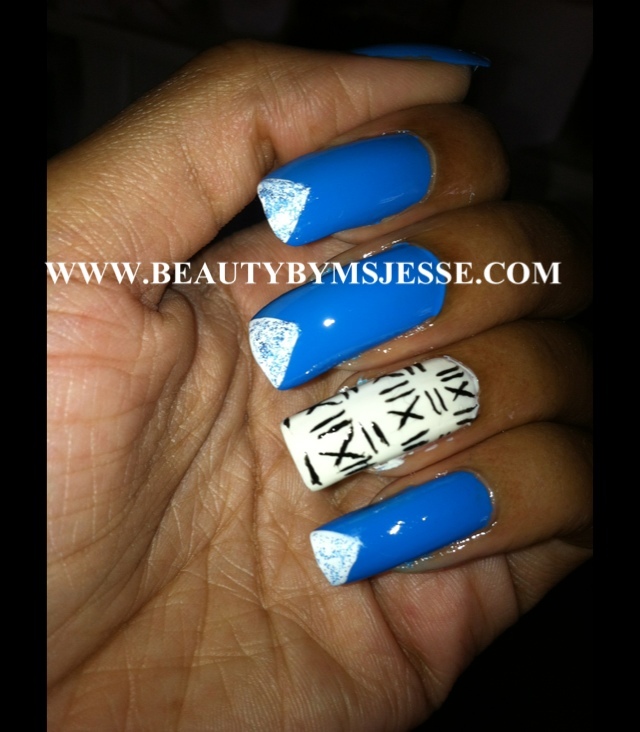 Tribal inspired accent nail and bright blue nails with white accents. Check out my YouTube channel for the tutorial.